This article was originally published by Everyday Feminism. We were rich in love and support, but we were not rich in money. Credit: Shutterstock. Being poor is hard work. And it’s a hell of a mind game. I grew up with my brother in a working-class home headed up by a single mother. We were rich in love and support and – because of Mom’s passion for baking – cheesecake. But we were not rich in money. Watching my mother struggle to make ends meet fundamentally changed my relationship to money, even to this day. Over the years, I’ve realized that it isn’t just poor people’s lives which differ from rich people’s lives – it’s poor people’s thoughts that differ from everyone else’s. Being poor means that every worry is secondary to money. It means that every experience is centered around money. It makes money, which is ironically something you possess little of in contrast to other people, more central to your everyday life than theirs. Being poor means you worry a lot more about common, everyday things than everyone else – whether they’re middle class, super rich, or somewhere in-between. Investments make sense. Buying higher quality products that last longer than their cheaper counterparts makes sense. Spending money upfront instead of paying interest on loans makes sense. But when you’re poor, none of that matters. What matters most when you’re struggling financially is the bottom line: how much money you’re letting go of in one moment and how much is left at the end of each day. It means buying stuff at full price because you couldn’t afford to buy it when it was on sale; it means making minimum payments on your credit card bill to get by even though all you’re really paying off, at that point, is your accrued interest; it means buying things that will rip, break, or run out faster than their more expensive counterparts because it’s all you can afford. What this means for poor people is that they often lose out in the long run. When I got my day job, I realized I could finally afford “investments,” albeit tiny ones. I can go to the grocery store and buy things that are on sale, even if I don’t intend to eat them before my next trip. I can afford to pay more than the minimum on my student loans. I can spend a little more to buy stuff in bulk rather than save pennies by buying the smallest amount of something at once. I can buy stuff based on overall value, and not just cost. When I was underemployed or in college, that wasn’t how my money worked. I used to go into the grocery store with a budget for the week and bought what I could get for the least amount of money, not what would last the longest or cost less over time. It goes without saying that being poor makes you frugal. After all, scrimping and saving become ways of life when you don’t have enough money to make ends meet, and spending superfluously when you’re in the red would never make sense. A lot of my own habits and ways of thinking have roots in my financial anxieties. I try to reuse so many things. I set, and strictly follow, a budget. I resist brand loyalty. I put in more time and effort if it means saving a little money in the long run, like going to different stores for different items or taking on a chore other people might have done professionally. And I second-guess every tiny purchase. It isn’t just pinching pennies that saves you nickels and dimes when you’re struggling – it’s also stretching your means as far as they can go. For people living in poverty, “the value of a dollar” isn’t just a saying – it’s a way of life. How much things cost, and how much cost you incur to survive, become the metrics by which you measure your life. Poor people will eat what they can afford, not what is most nutritious – and it’s one of the leading contributing factors to so many unjust health issues that people incur. We live in a country where most families can afford to eat dinner at Burger King, but can’t afford to buy fresh fruit on a regular basis. Poor people may not open up bank accounts because they can’t meet the account minimum standards. This could mean they’re not accruing or building credit – making it more difficult for them to secure housing, rent cars, or even get jobs. For poor people, what things cost become a priority – and it comes before comfort, value, opportunity, and even your own physical and mental needs. 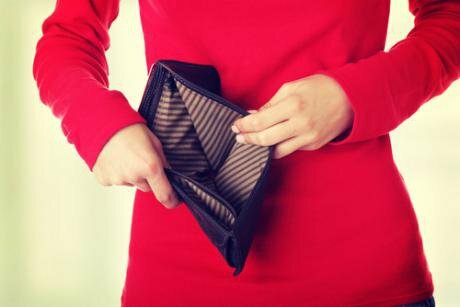 Unexpected costs are more than inconvenient when you’re poor – they’re liabilities. When you’re living to the last dollar or have barely amassed any savings, the risk of emergencies or other large, upfront costs is something you factor into your thought processes more often than others might. A poor person, for example, might decide where to go on vacation or even where to live based on how far they think their car can go without breaking down. They may avoid going away altogether to avoid paying for those repairs, or to extend how long they can go before they have to. A poor person also might consider their healthcare costs differently than someone with a more secure financial stream would. Poor people are less likely to utilize preventive care, leaving them more susceptible to medical emergencies later on that could have been avoided. Poor people also might evaluate their options differently when it comes to seeking out wealth, which is often formed through taking risks. Think of the inherent financial insecurity in opening up a business, investing money in stock or a burgeoning corporation, or even relocating to seek out better opportunities. For the poor, those risks may not be worth worth it in the long run, leaving them with less chances of breaking out of the cycle of poverty. For my mom, everything from pooling money with friends and coworkers for gifts to figuring out how to send me to Washington, DC with my graduating class brought as much stress as it did joy. It’s easy for us to assume that the people around us are all living with the same resources we have. But that isn’t always true. And poor people, because of those assumptions, could find themselves choosing between common and shared experiences or putting food on the table. It can be hard to remind ourselves that our neighbors, coworkers, friends, and community members have unique experiences – and, perhaps, financial insecurities – that could prevent them from accessing some of the resources, programming, and social spaces that we love. For example, it can be easy when you’re enrolled in a mostly residential college to forget how other people’s lives are still impacted by their class. My friends in college came from a variety of financial backgrounds. We all arrived on what looked, to the naked eye, like equal footing: We were all freshman, we were all enrolled in the same university, and we were mostly on-campus and eating at the cafeteria three times a day. But for folks who came from less secure financial backgrounds, activities like going to concerts, going out to eat, or even ordering pizza after a night out dancing merited serious consideration and were sometimes ultimately not a priority or not possible. For poor people, being asked to share or split costs for food, housing, or even a night out can cause tension and anxiety. After all, what if I agree to split my groceries with you each week and then you buy all organic, high-end produce? What if we go out to eat and I order something cheap and you order lobster and say we should split the bill evenly? Being able to give equally to something often requires the assumption that we’re all coming to that process with the same financial capacity. For poor people, that sometimes means ultimately missing out. For many poor people, employment is a pivotal fact of life. Working is key to developing financial stability or scraping by. But what happens when you don’t have a car, and your dream job is ten miles from the nearest bus stop? What happens when you can’t afford childcare for a full day’s work? What happens when you can’t afford a suit for that interview? For poor people, worrying about work encompasses worrying about how much work – or even landing a job in the first place – costs. In Phoenix, a homeless woman recently faced felony charges and the threat of jail time for leaving her kids in the car during a job interview. She couldn’t afford childcare and didn’t want to explain that to her potential employer. In the eyes of the city, she had abused her children. Across the country, part- and full-time low-wage workers are unable to make ends meet. For workers at Walmart and McDonald’s, for example, a day’s work doesn’t cover the cost of living. These people are vulnerable because of their class, and their class inhibits their ability to access social mobility. Although they need to rise above the most – literally, to survive – they face the most obstacles in making ends meet, whether it’s by struggling to land a job or struggling to live off that job. We need to challenge ourselves to consider what prevents the poorest around us from seeking or securing employment – be it lack of affordable housing near a potential job, rising childcare costs, a constantly decreasing social safety net, or a lack of support for the homeless. You would be hard-pressed to find a poor person who doesn’t wonder what they could be doing to save even more money. Poor people are already in the practice of going without or making things work with less than what’s standard, but those mechanisms still allow room for guilt, and that guilt can be consuming. When money is scarce, we – as people who live in a society heavily centered on capital – aren’t going to have an impulse to spend what we have ‘til it’s gone. Instead, when money is scarce, we will scramble to make it go further. That means we will consider, over and over again, what we can go without, what we can get rid of, and what we can do differently to cling to even more of it over time. Every time a poor person spends money, there is anxiety. It’s not surprising, especially when you factor in how harshly the homeless are judged for using cell phones and the public figures who publicly announce that they don’t think you’re poor if you own an air conditioner or—you know—eat nourishing food. That anxiety and pressure pushes us to sacrifice. To go without. To punish ourselves and make ourselves struggle harder in order to feel like we’re redeeming ourselves for what is, ultimately, seen as one of the biggest failures in our culture: poverty. Despite the burden of poverty, many people struggling with financial insecurity aren’t reaching out for help. For many people struggling with financial insecurity and poverty, asking for help means first overcoming a deep sense of shame. Our social stigma around poverty is heavy, and it’s everywhere. For the homeless, asking for help can lead to arrest. For parents, it can lead to the intervention of social services. The dominant narrative of people “pulling themselves up by their bootstraps” convinces poor people that struggling in silence, and alone, is better than admitting not only a failure to thrive but a failure to overcome their poverty. I grew up working class, and I know things could have been much worse. We had shelter, and we ate hot meals. We had love and support and stability. But it’s still hard for me to contend with the world, even with my college degree in-hand and an office to myself. I still feel shame about my relationship with money. I still feel bad being frugal and risk-averse. I still feel embarrassed telling the truth about where I come from. I still feel like my story somehow speaks to who I am as a person. I still feel like my wealth, and my mother’s wealth, defines my character and her parenting ability. I still feel the stigma. We must create a more supportive culture for the poor if we want to end poverty. Being aware of our own class privilege and the experiences of those who aren’t financially well-off is a strong first step to getting there.